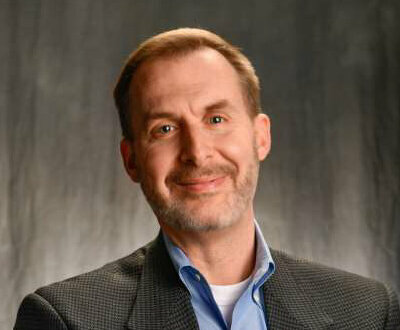 Empire State Development (ESD) today announced that Ross D. Levi has been promoted to Executive Director of Tourism. He will lead the iconic I LOVE NEW YORK tourism program and help coordinate marketing efforts to increase awareness and promote statewide tourism visitation. In 2016, New York State welcomed a record 239 million visitors who spent nearly $65 billion, generating a total economic impact of more than $100 billion for the third straight year. Additionally, tourism remains the state's fourth largest employer, supporting more than 914,000 jobs annually. ESD President, CEO & Commissioner Howard Zemsky said, “For the past five years, Ross has been a crucial member of our tourism division, bringing a creative passion for travel and a commitment to promoting New York State as a world-class destination. He understands the important role tourism plays in supporting jobs and growing our economy, and we are very proud to have him lead our statewide tourism efforts." Executive Director of Tourism Ross D. Levi said, “I'm excited for the opportunity to serve as Executive Director, which allows me to continue working with the dedicated I LOVE NEW YORK staff. I look forward to building even stronger relationships with the Tourism Advisory Council, our state government colleagues and our talented industry partners, to further realize Governor Cuomo's vision of tourism serving as a pillar of economic development in New York State. My predecessor, Gavin Landry, left a very strong foundation on which to build and achieve even greater heights." Mr. Levi joined ESD in 2012, serving as Vice President of Marketing Initiatives, where he was instrumental in launching and coordinating a number of new tourism efforts established by Governor Andrew M. Cuomo. He has helped to oversee events like the Adirondack and Catskill Challenges, the Governor's annual Tourism Summit, and the Path Through History heritage tourism initiative. His efforts spurred the creation and development of the I LOVE NEW YORK LGBT campaign. In his new role, Mr. Levi will manage all New York State tourism staff, coordinate efforts with the state's regional Tourism Promotion Agencies, and partner on all I LOVE NEW YORK marketing initiatives. He will also continue to work closely with Governor Cuomo's Tourism Advisory Council, which provides input and advice regarding the state's tourism efforts. He will replace Gavin Landry, who was appointed Executive Director of Tourism in 2013. Mr. Landry recently accepted a position as Director of the Americas for Visit Britain. New York State Tourism Advisory Council Chair Cristyne Nicholas said, “Ross Levi is a proven leader and advocate for New York's robust tourism industry. I commend Governor Cuomo for his continued commitment to increase tourism to the Empire State by appointing Ross, who I know will build on the tremendous successes achieved by his predecessor, Gavin Landry." Prior to joining ESD, Mr. Levi was Executive Director of Empire State Pride Agenda, one of the nation's largest statewide LGBT civil rights organizations. He served as a legislative director in the New York State Senate and worked in marketing in the film industry for companies including 20th Century Fox, Universal and Miramax. Mr. Levi is a published author and holds a J.D. from Brooklyn Law School, and a B.S. from Boston University, where he received local and national recognition for commercial writing and filmmaking. Empire State Development (ESD) is New York's chief economic development agency (www.esd.ny.gov). The mission of ESD is to promote a vigorous and growing economy, encourage the creation of new job and economic opportunities, increase revenues to the State and its municipalities, and achieve stable and diversified local economies. Through the use of loans, grants, tax credits and other forms of financial assistance, ESD strives to enhance private business investment and growth to spur job creation and support prosperous communities across New York State. ESD is also the primary administrative agency overseeing Governor Cuomo's Regional Economic Development Councils and the marketing of “I LOVE NEW YORK," the State's iconic tourism brand. For more information on Regional Councils and Empire State Development, visit www.regionalcouncils.ny.gov and www.esd.ny.gov.